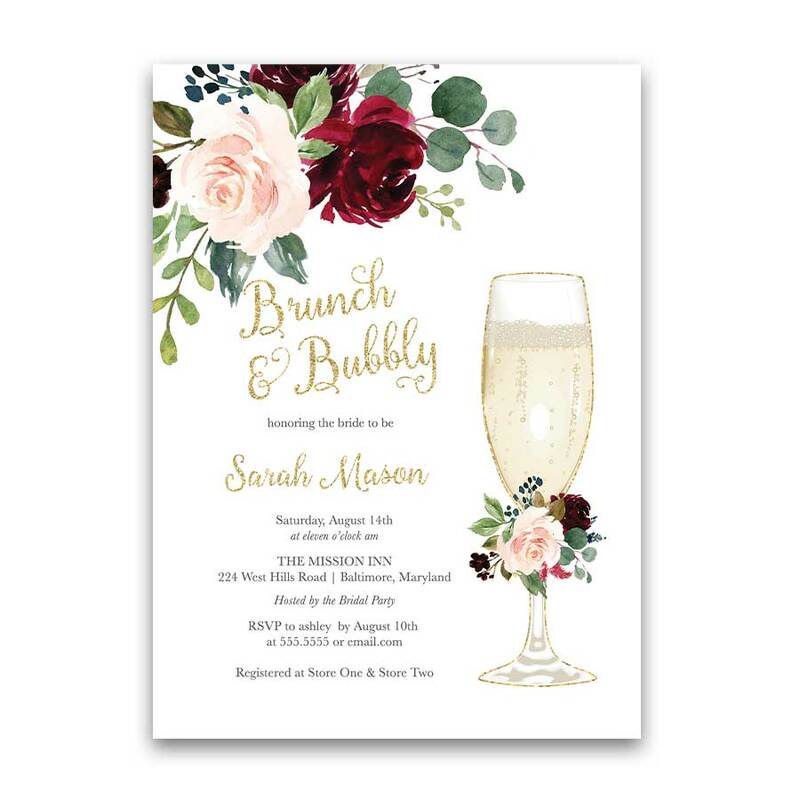 This unique Brunch and Bubbly Wedding Shower Invitation features watercolor florals and a gold champagne glass. Add in a super creative text layout and we’re ready to shower the bride with love and good wishes! 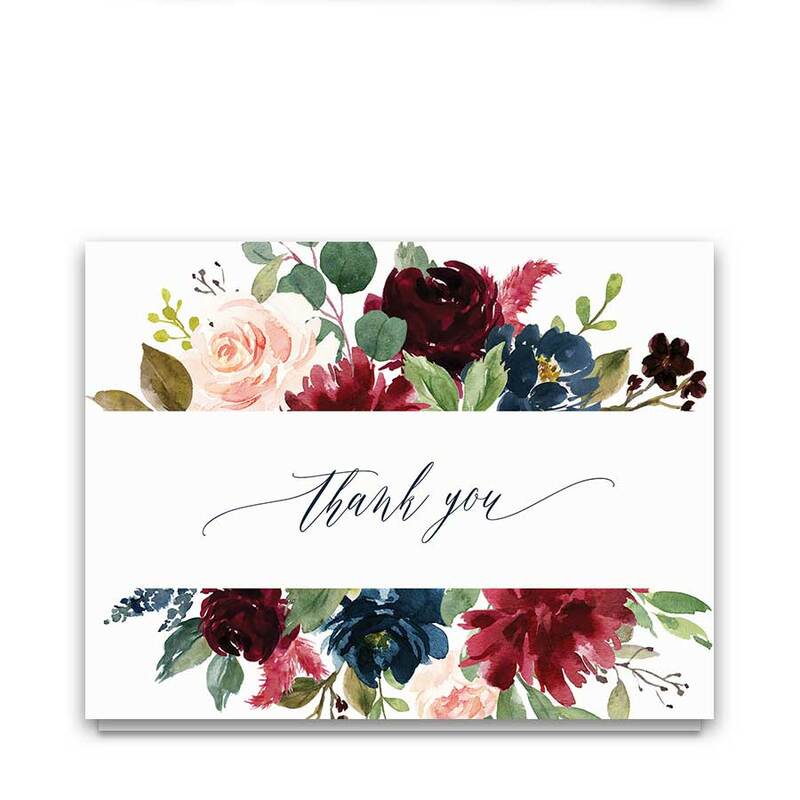 Printed on our gorgeous Signature paper, each card comes with an accompanying envelope. 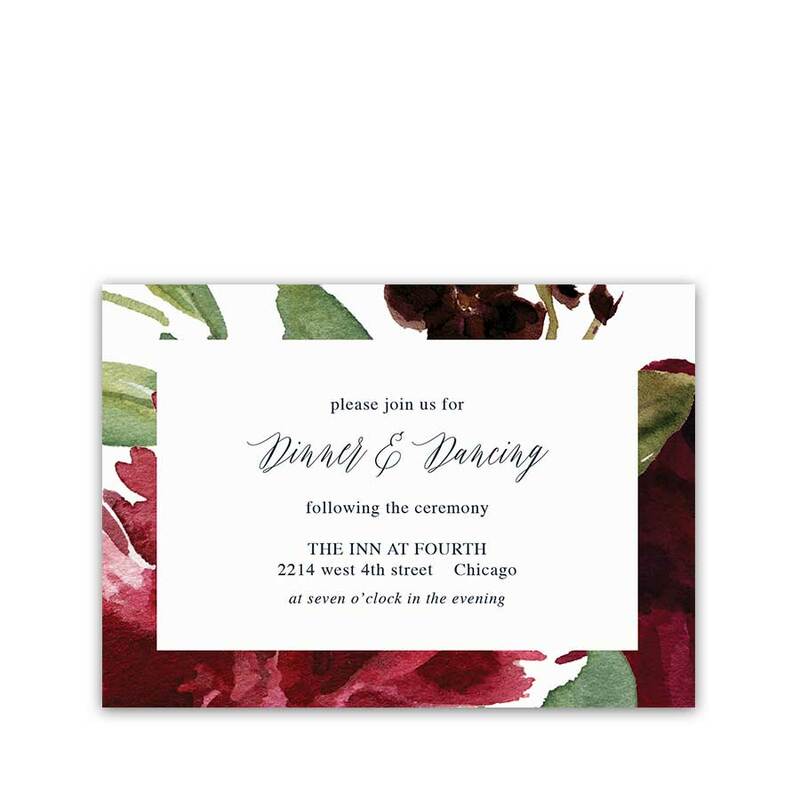 Brunch Bridal Shower Invitation Champagne Glass Burgundy Floral. 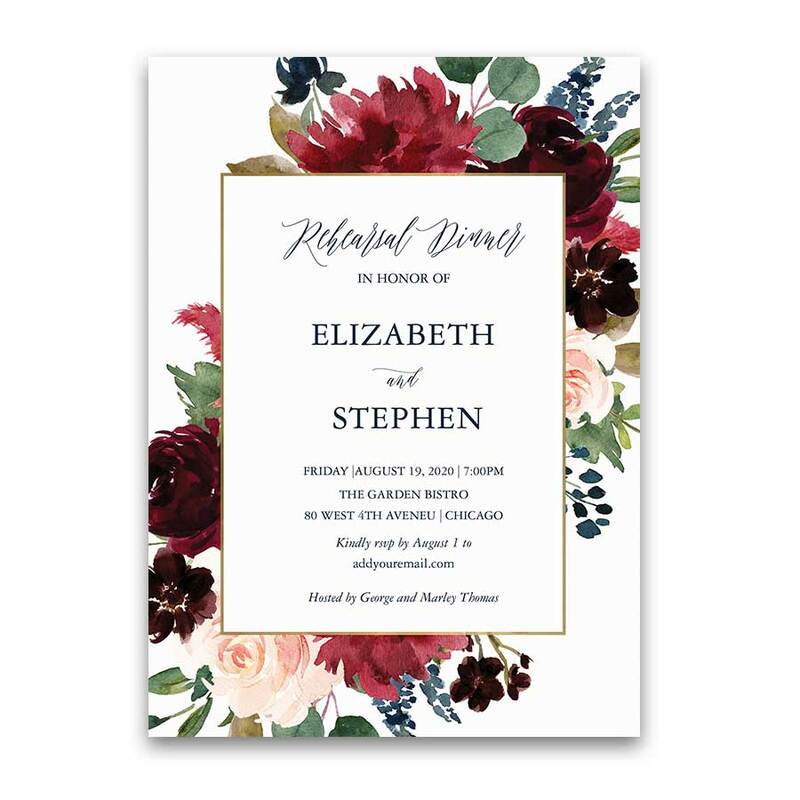 The design features a champagne glass with a collection of hand painted florals in blush, wine, burgundy navy and marsala. Additionally, gorgeous script lettering complete the design. Welcome to the Seton Garden Collection. 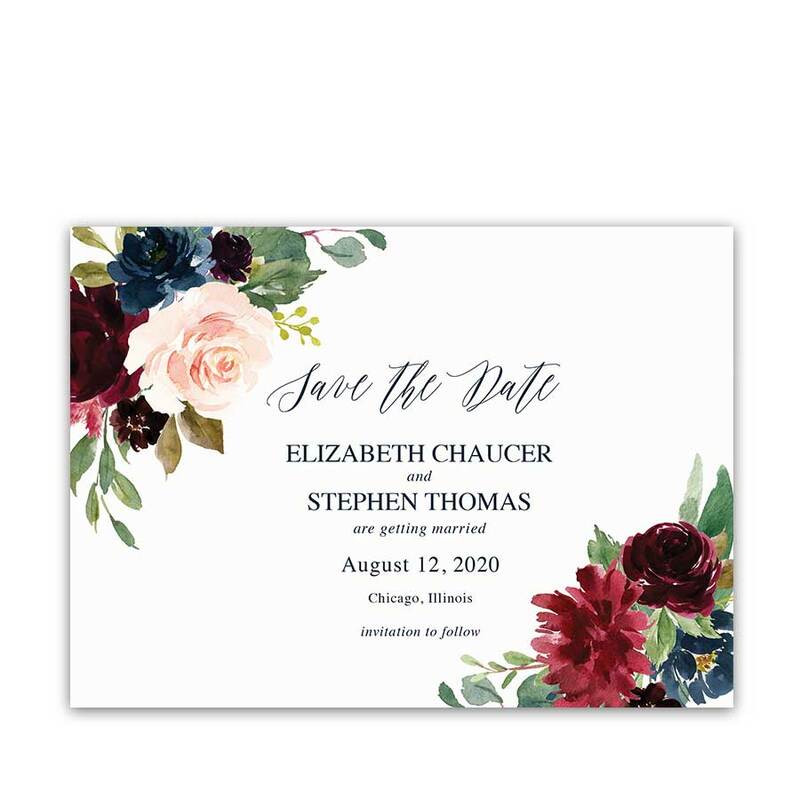 Fabulously elegant and yet modern in its design, the Brunch Bridal Shower Invitation Champagne Glass Burgundy Floral design will impress your guests while still keeping in the theme of your purple, plum and gold floral themed wedding. Cream or white envelopes arrive with your order- you can choose your favorite! 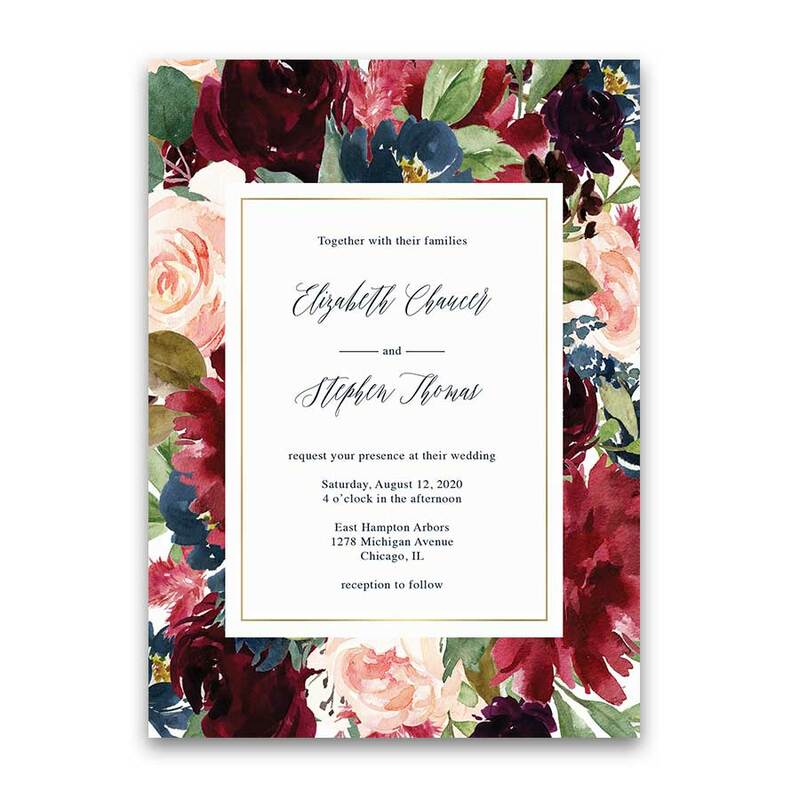 The background features fab florals for a super chic appeal! 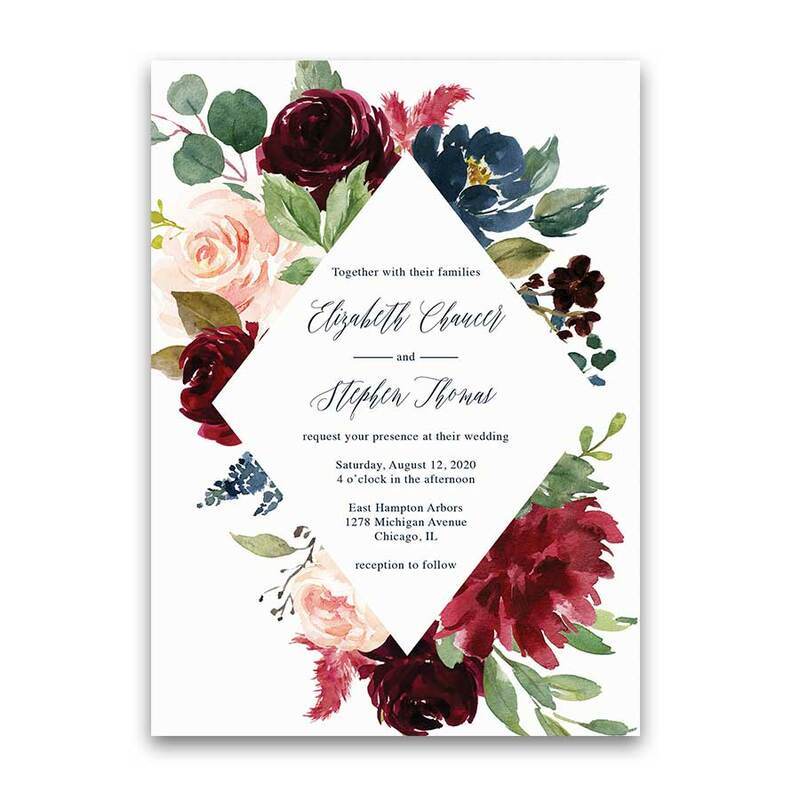 We offer so many more themes for super trendy bridal shower invitations in the store as well! Visit our Pinterest boards for more wedding inspirations and ideas. 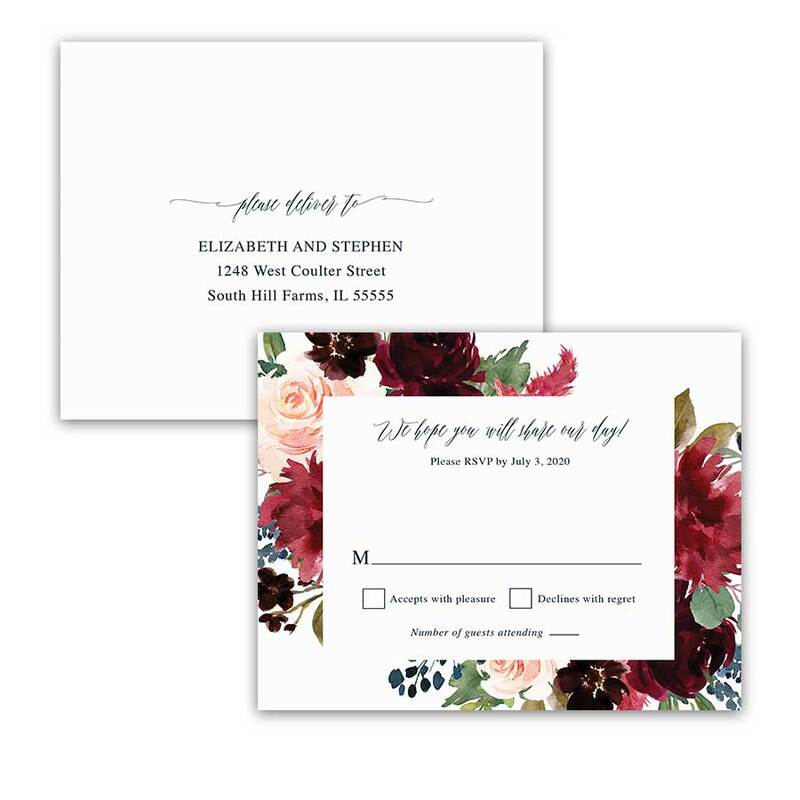 The wedding set is great for: floral bridal showers, burgundy or blush bridal showers, brunch and bubbly wedding showers, chic wedding showers, bohemian wedding showers, and elegant bridal showers alike in summer, winter or fall. 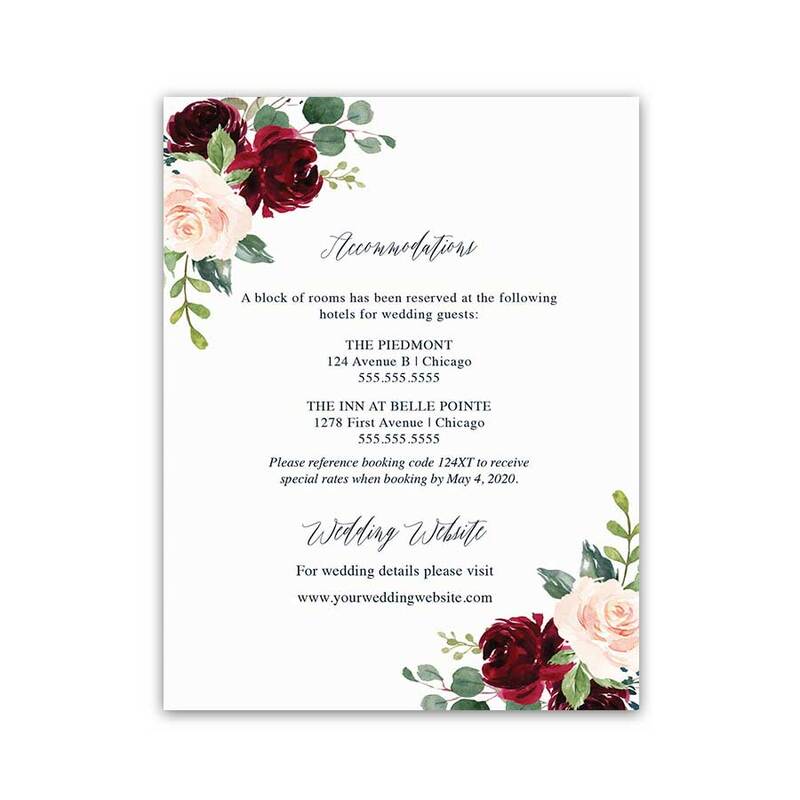 The Brunch Bridal Shower Invitation Champagne Glass Burgundy Floral measures 5 inches wide by 7 inches long. 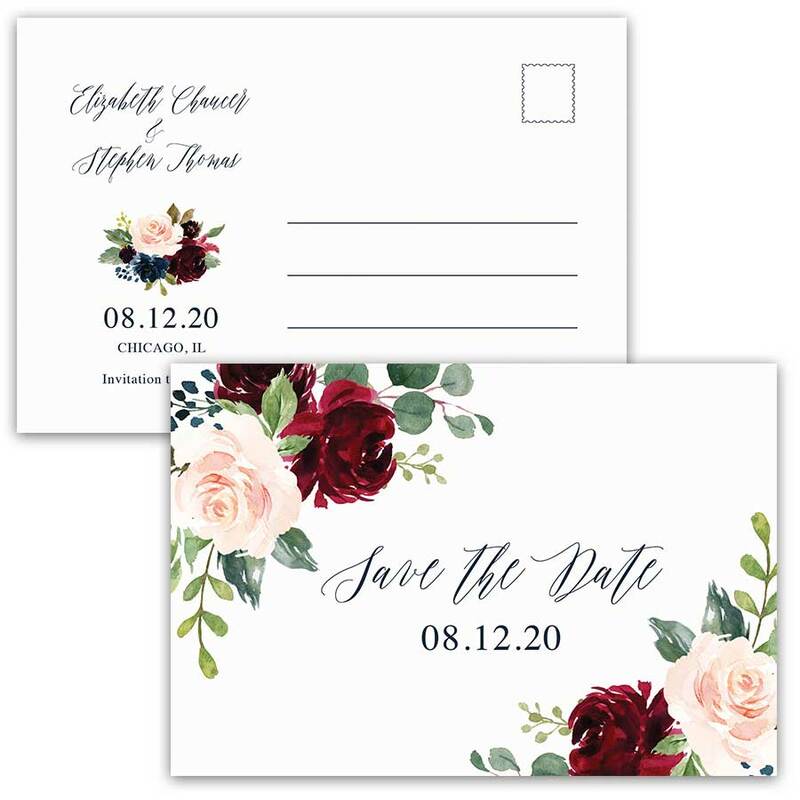 Our Signature paper is perfect for the invites and each card arrives with a coordinating envelope. In addition, the back of the card will be white. 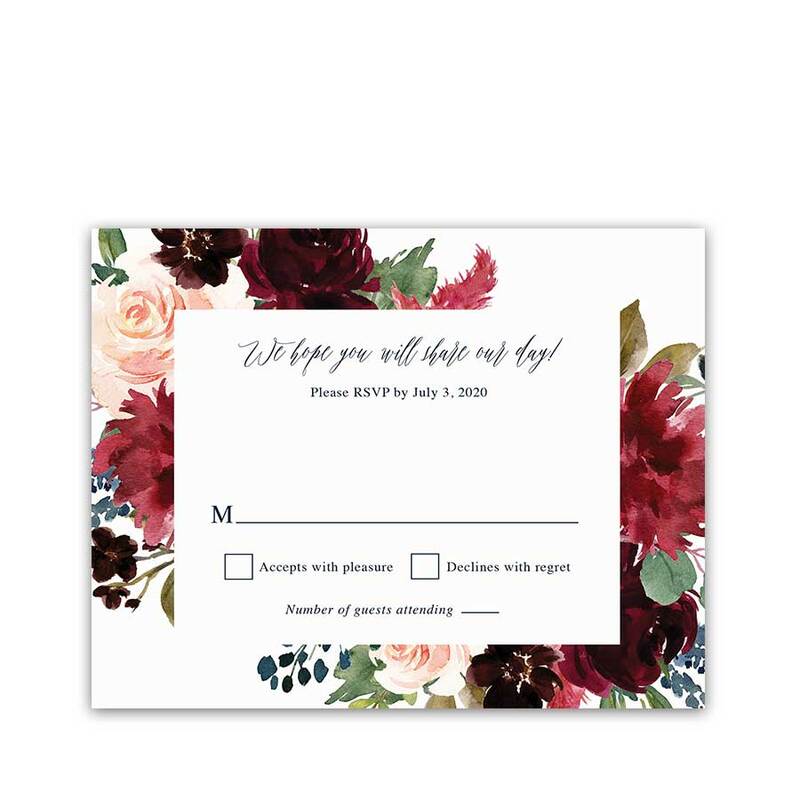 We customize the shower invitation with the wording provided at checkout. Please be sure to include the exact wording as you would like it to read in the space provided on the order form. Also, you will have the option to correct errors upon receipt of the proof files. A coordinating wedding ensemble is also available by clicking the links below.